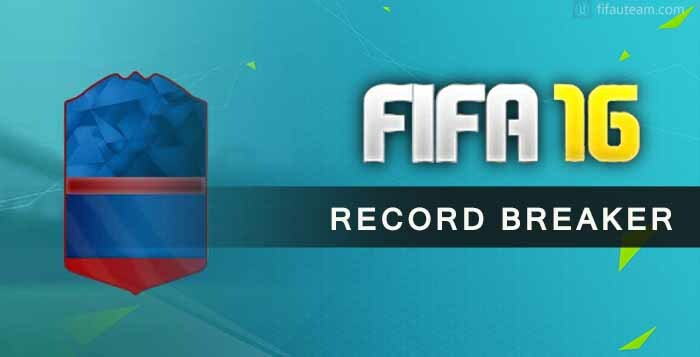 Created in FIFA 12, Record Breaker in-form cards are released in FIFA Ultimate Team to reward record breaking achievements in the real-world of football. It is extremely rare, but sometimes EA needs to create new FUT cards that does not fit in any of the other cards types. These special items are usually released for celebration or charity reasons. Most goals scores by a national team, most clean sheets, fastest hat-trick, most consecutive matches scoring goals or most header goals in a specific league are just a few examples. 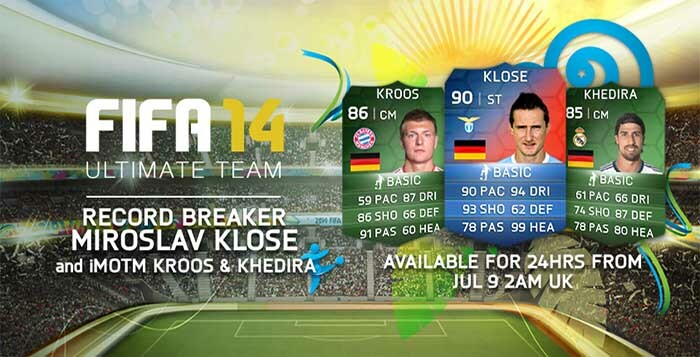 The blue and red FUT card are extremely rare and usually become available in packs only for 24 hours. That’s why it is not easy to find them in packs or in the market. They are also traditionally rated very highly, getting an average boost of seven points, making them most of the times the best cards of FIFA Ultimate Team.